The most historic steeplechase in the world. It has to be the Grand National. Get ready for this year's race on the 14th April at 5:15. Two long circuits to get a huge crowd cheering for more. Four long miles & two furlongs. Remember Red Rum? He won three times in 1973, 1974 & 1977. His trainer, Ginger McCain, became as famous as this imperious horse. Could we see a horse win the Grand National three times in this modern era? It would seem unlikely. But who would have believed so many stories related to this hard race. In truth, for many, the Grand National is the most famous race in the world. Horses, jockeys, trainers, punters and a betting bonanza with plenty of Offers at the Grand National. It takes a talented, tough and lucky horse to win at Aintree, Liverpool. The Grand National History tells a story of triumph over adversity. The history of this race goes back to 1839 when a horse named Lottery won at 5/1, ridden by Jem Mason. In those days, the Grand National was a race of fearful fences. It was probably the reason why Tipperary Tim & Gregalach proved that lightning can strike twice when these 100/1 shots won in 1928 & 1929, respectively. 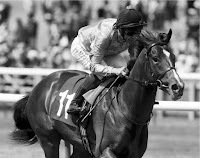 Other 100/1 winners include Caughoo (1947), Foinavon (1967) & Mon Mome (2009). Five 100/1 winners. It just shows you don't need to be a favourite backer to make your betting pay. The 1981 Grand National was unforgettable for two reasons: Aldaniti and Bob Champion. A jockey fighting against cancer, and horse who at one time could barely walk. The pair won at 10/1. In the process, Champion went on to not only survive but raise millions of pound for cancer research. Their story was made into the film Champions starring John Hurt. To this day, Carl Davis's theme tune is still associated with the Grand National. It took a long time for the first woman to train a National winner. Jenny Pitman was an iron lady who was a straight talker and new she had a real talent in Corbiere. In 1983, Corbiere, ridden by Ben de Haan, won the National at 13/1. It was a strong race with many old favourites such as West Tip and Classified. In 1990 Mr Frisk recorded a time of 8.47.8 – it was the fastest ever due to faster going. It is very unlikely this time will ever be beaten. A P McCoy took well over a decade to claim this illusive title when Don't Push It prevailed in 2010. He was knighted after retiring in 2015. 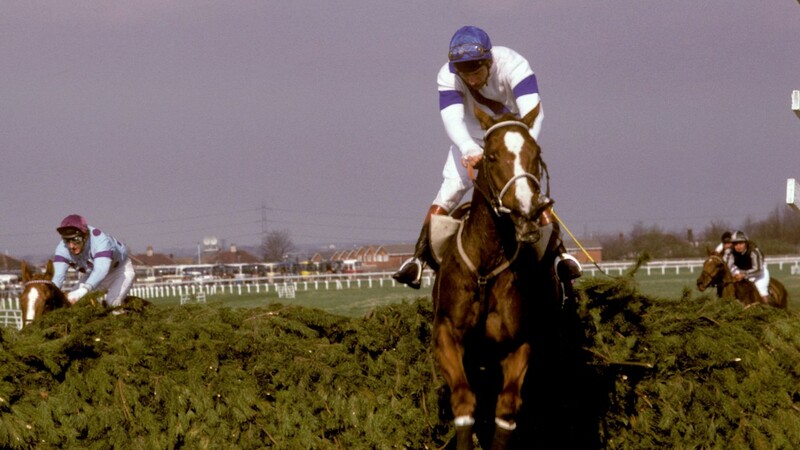 The Randox Health Grand National.